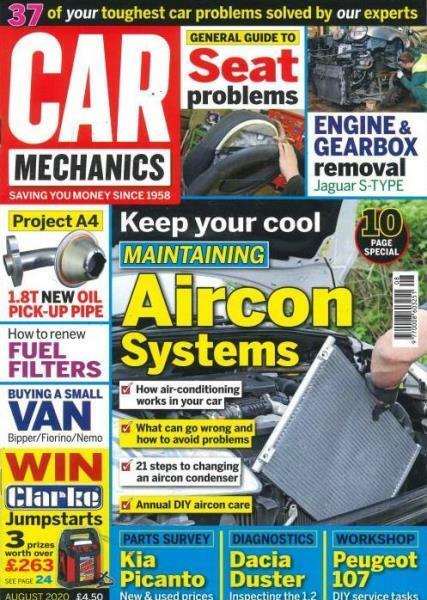 Car Mechanics is a monthly magazine full of advice on repairing and maintaining popular makes and models. It is a motoring bible for both DIY car enthusiasts and experienced car mechanics. Buy a single copy or subscription to Car Mechanics magazine. Car Mechanics launched in April 1958 and has been continuously published monthly since. Each issue is packed full of reviews and latest news including advice on buying the best cars and parts. You will also find new products and giveaways as well as letter from other readers.